Sean Paul, who was recently presented with a plaque from the Recording Industry Association of America (RIAA) for selling a staggering26 million records, has been enjoying an unbroken string of massive hit singles in the 2 years, most recently with the single Body featuring Atlanta superstars Migos which was the follow up to the worldwide hit No Lie featuring Dua Lipa. Add Tek Weh Yuh Heart with Tory Lanez, and the Clean Bandit collaboration Rockabye, which spent nine weeks at number one in the UK charts and, of course, his Grammy nominated Number 1 Billboard, global smash with Sia on Cheap Thrills, and it is fair to say that the reggae superstar has rarely been away from the higher reaches of the charts. Sean Paul is without doubt one of the most instantly recognisable voices in music and he has continued his remarkable strike rate over the last year with a string of hits. In 2002 Dutty Rock (fuelled by the massive hit singles Gimme The Light and Get Busy) went double Platinum in US and UK while 2006’s Temperature reached x4 Platinum in US with sales of over 4m. Over the span of his career, Sean Paul has worked with some of the world’s biggest artists including Beyonce, Rihanna, Nicki Minaj, Busta Rhymes, Sia, Kelly Rowland, Enrique Iglesias and 2Chainz, and has also partnered with reggae and dancehall acts such as Damian ‘Junior Gong’ Marley, Chi Chi Ching, Mr. Vegas, Beenie Man, Ding Dong, Future Fambo, and Tami Chynn. 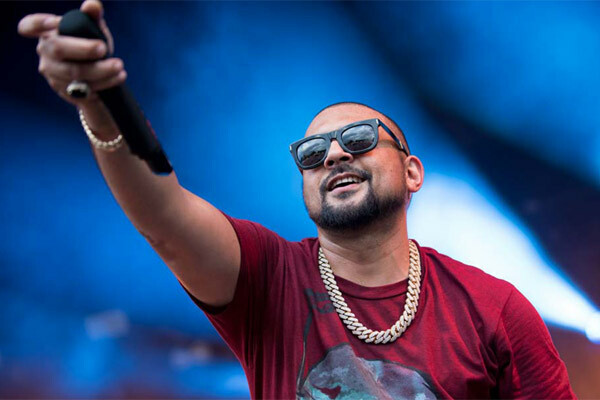 Aside from being a top-notch performer, Sean Paul is a much sought after music producer and has created music with a number of top Jamaican artistes. MUMBAI: Kingston born artist Tessellated has announced his latest release, Freeza ft Shenseea and Zac Jone$, a collaboration with prominent reggae star Shenseea and rapper Zac Jone$. MUMBAI: Gorgon City has today released their brand new album Escape - the eagerly anticipated follow-up to their debut album Sirens in 2014 which sold over 70,000 UK copies, with the pair amassing over 675 million combined streams in their career so far. MUMBAI: Global superstar and four times Brit nominee Jonas Blue has delivered the dynamic remix package of his smoldering new single Rise.